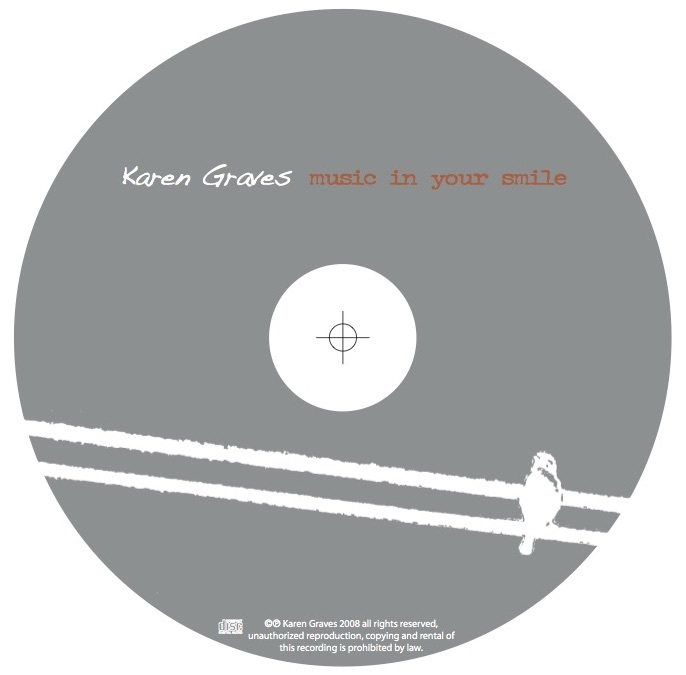 These are the cover and inside panels from the CD “Music In Your Smile” by Karen Graves. 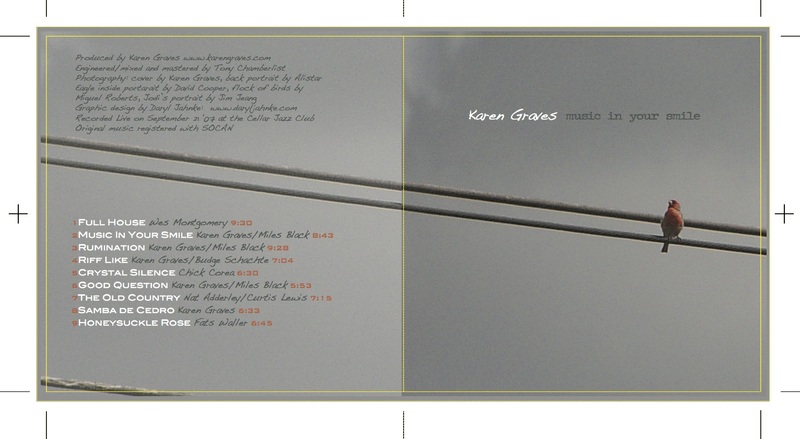 It’s a simple 4 panel, single fold insert designed for a transparent jewel case. Here’s the back outside of the jewel case and the disc graphic.